Describing the relevant detection and estimation theory, this detailed guide provides the background knowledge needed to tackle the design of practical WLAN positioning systems. It sets out key system-level challenges and design considerations in increasing positioning accuracy and reducing computational complexity, and it also examines design trade-offs and experimental results. Radio characteristics in real environments are discussed, as are the theoretical aspects of non-parametric statistical tools appropriate for modeling radio signals, statistical estimation techniques and the model-based stochastic estimators often used for positioning. 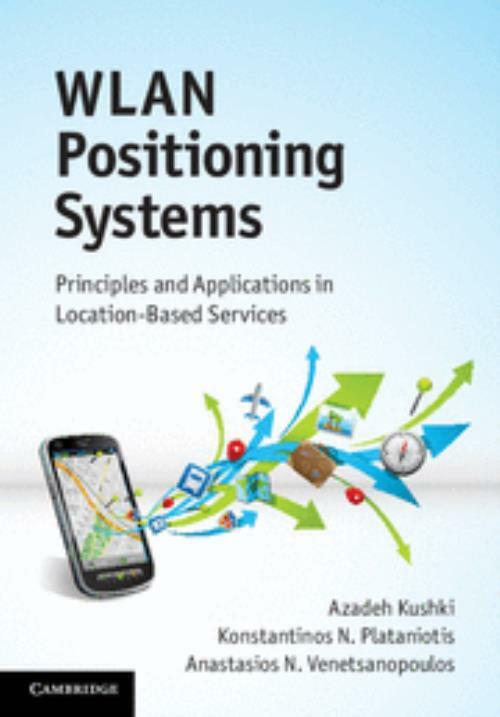 A historical account of positioning systems in also included, giving graduate students, researchers and practitioners alike the perspective needed to understand the benefits and potential applications of WLAN positioning. Azadeh Kushki is a Postdoctoral Fellow at the Bloorview Research Institute, Holland Bloorview Kids Rehabilitation Hospital. She received her Ph.D. in Electrical Engineering from the University of Toronto in 2008 and is a principal author of various articles on the topic of WLAN positioning in books, journals and conference proceedings. Konstantinos Plataniotis is a Professor with the ECE Department at the University of Toronto (where he directs the Multimedia Laboratory), an adjunct Professor with the School of Computer Science at Ryerson University, Director of the Knowledge Media Design Institute, and Research Director of the Identity, Privacy and Security Institute at the University of Toronto. He has contributed chapters to fifteen books, co-authored the book Color Image Processing and Applications (2000), co-edited Color Imaging: Methods and Applications (2006) and published more than 350 technical papers. Anastasios Venetsanopoulos is a Professor of Electrical and Computer Engineering at Ryerson University in Toronto, Ontario, and a Professor Emeritus with the Edward S. Rogers Department of Electrical and Computer Engineering at the University of Toronto. He has authored eight books, contributed chapters to thirty books and published over 830 technical papers. He is a Fellow of the Engineering Institute of Canada, the IEEE, the Canadian Academy of Engineering and the Royal Society of Canada.